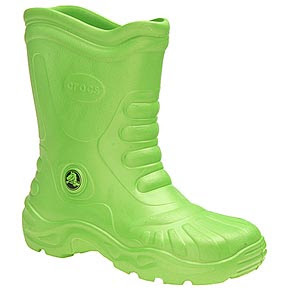 Shopaholic site - shopping, outfits, fashion, beauty, traveling and lifestyle blog: Crocs ?!? There is an emoticon on some forums i hang, with the yellow guy shaking and then covering his eyes with his arms in total horror. 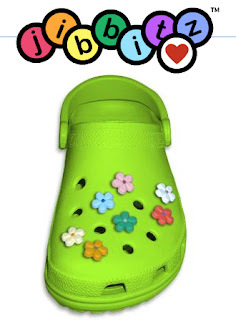 It seems appropriate enough when speaking about the new "thing" this summer, the Crocs clog. 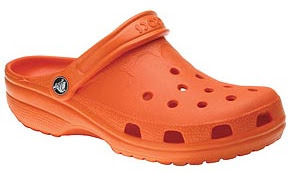 We are dealing with a Crocs movement here, and it gets uglier and uglier. Come on, do you really think those "shoes" look nice...well, no, let me rephrase that...at least decent? They may have nice colors and probably they are comfy...but from that to wear them with everything, like some women i saw on holiday did? Oh my... Fiona, the ogress wife of Shrek, might look good with some pink Crocs, but other then that? Are we in some kind of a lego game? The only thing from the entire line i find decent enough to wear are the "Crocs Athens", but, after all, they are regular flip flops for beach. What do you think about those Crocs clogs? Do you have a pair? Do you find them nice enough to spend at least 30$ on them?